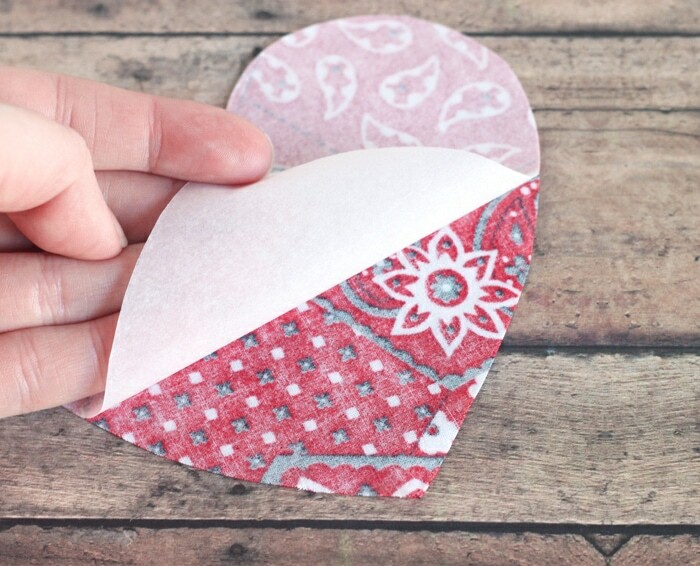 I’ve got a really cute valentine craft idea for you today! 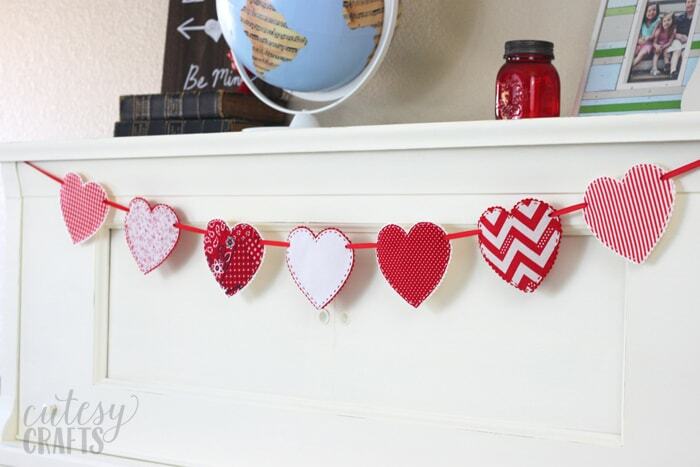 It’s a fabric heart garland made with felt and fabric scraps. 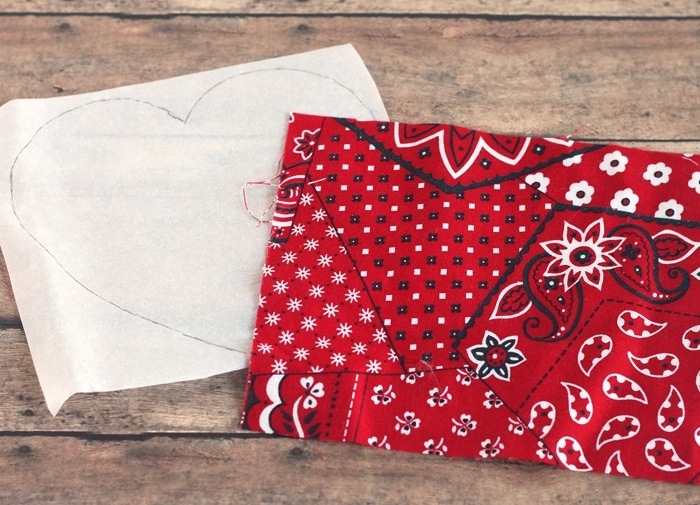 It’s really easy to make and there are so many options as far as colors and fabric go. 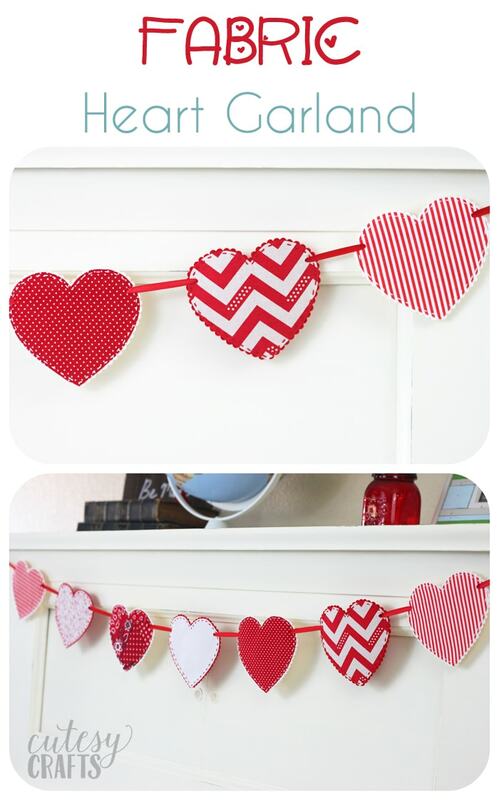 You could go crazy and use a bunch of different colors, or go simple like me and just use red and white. 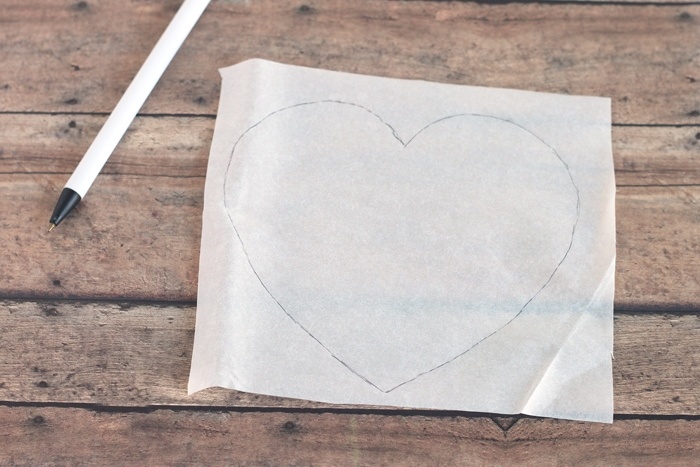 First, trace the heart onto the paper side of the the interfacing. Cut a piece of fabric slightly larger than the interfacing. 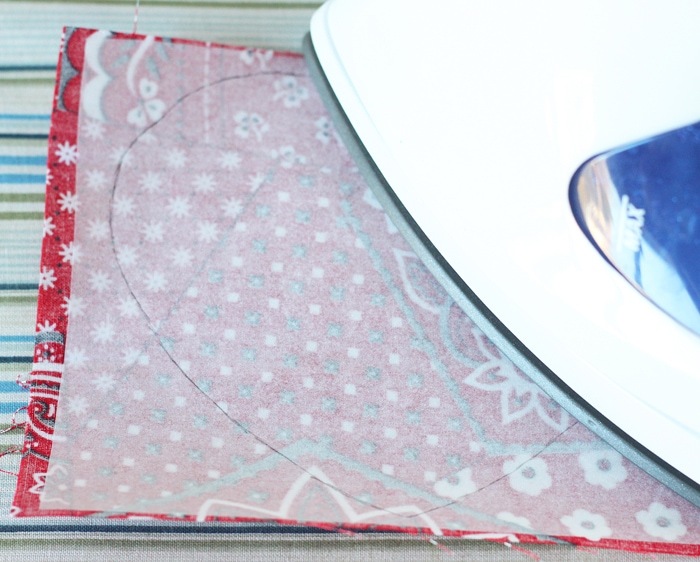 Iron the interfacing onto the back of the fabric, following package instructions. 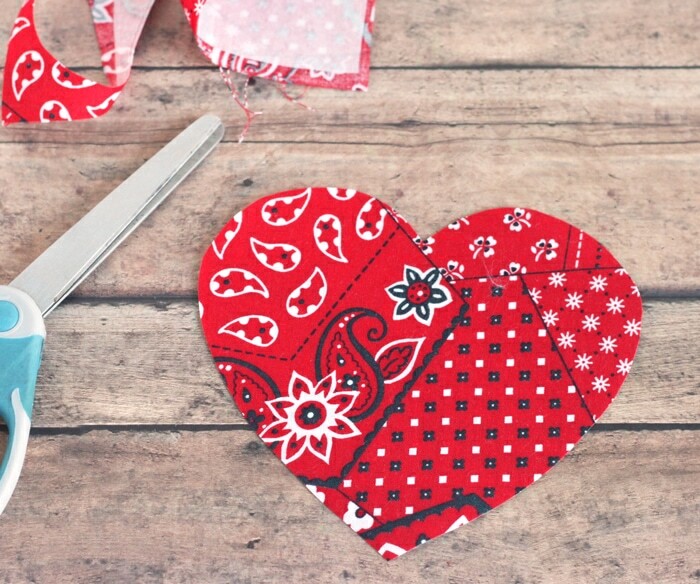 Cut the fabric into the heart shape. 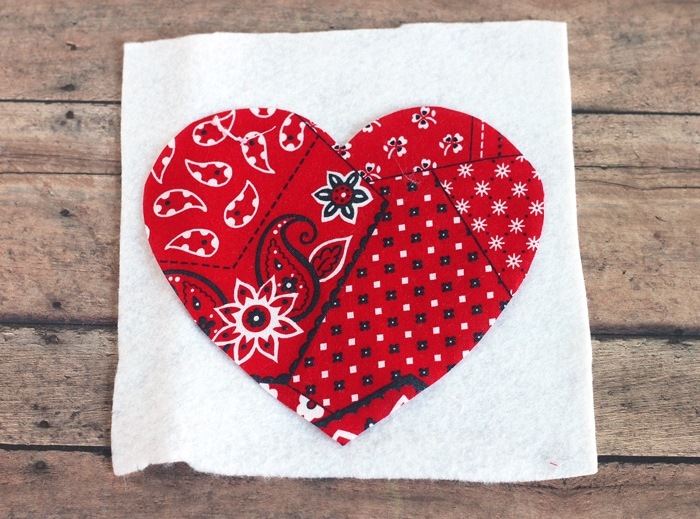 Cut a piece of felt larger than the heart. 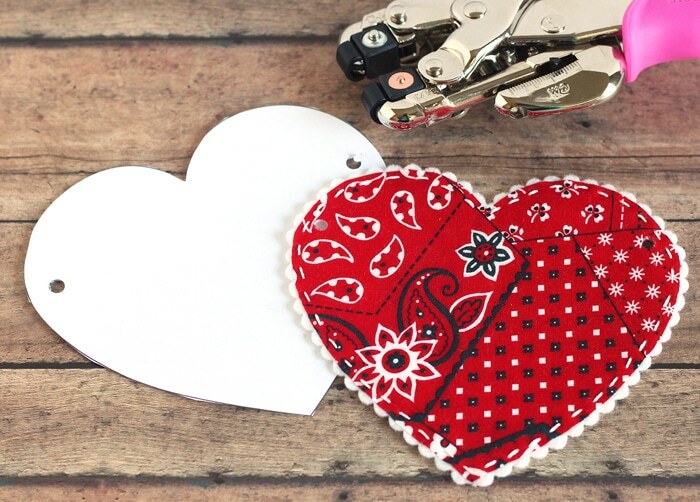 Make sure there’s about 1/2 to 1 inch around the outside of the heart. Since you are going to be ironing, I highly recommend using wool or a wool blend of felt. 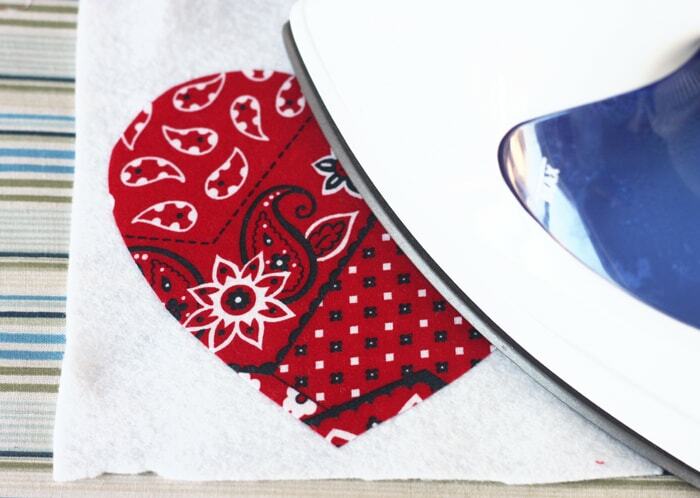 Iron the heart onto the middle of the felt. 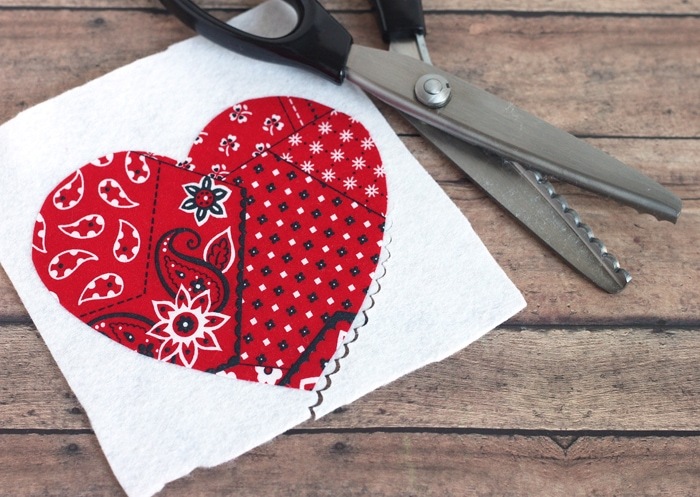 Cut the felt around the heart with the scallop scissors. Get close to the fabric in the middle without cutting through it. Embroidery floss comes in a large strand made up of six smaller strands. 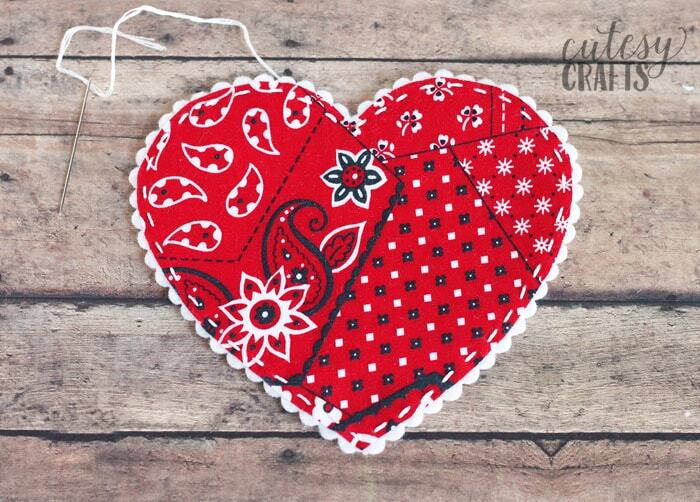 Using four of those strands of embroidery floss, sew a running stitch around the outside of the heart. 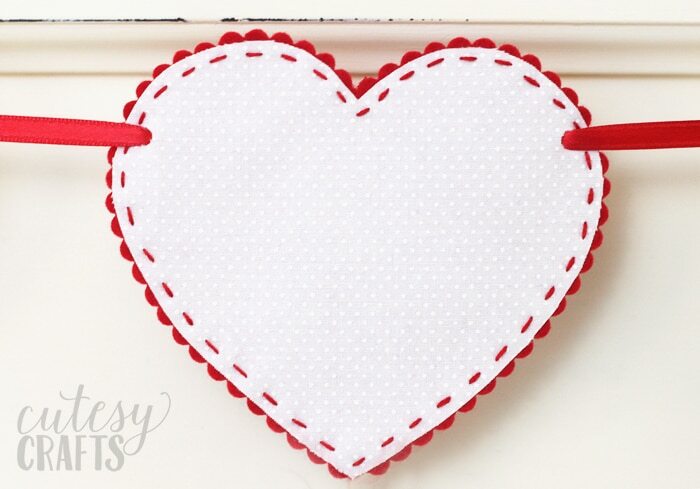 The stitching is optional, but it looks so cute! Use the template to line up and punch two holes. I used my Crop-A-Dile to help get through the thick fabric. 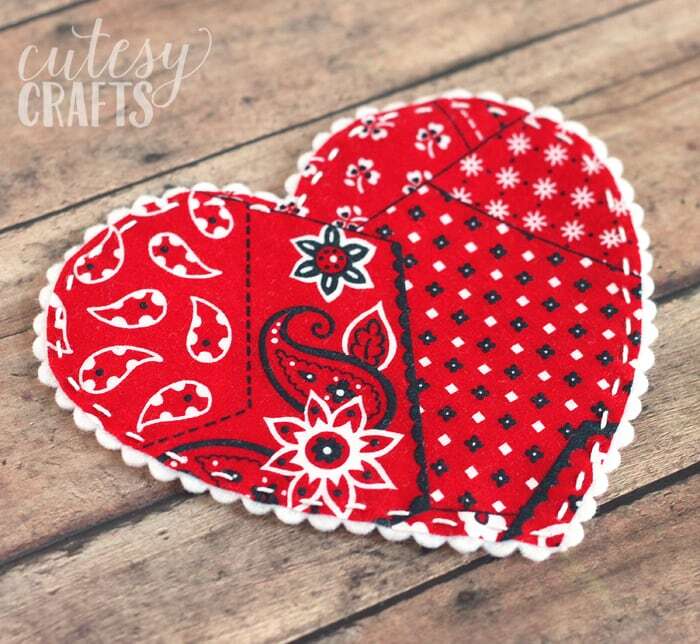 One of my favorite crafting tools! Feed a long strand of ribbon through the holes. I made a little bit of a pattern with the felt and stitching. Some have white felt with white stitching, and some have red felt with red stitching. It looks so pretty strung across my piano, which has become a mantle of sorts for me. 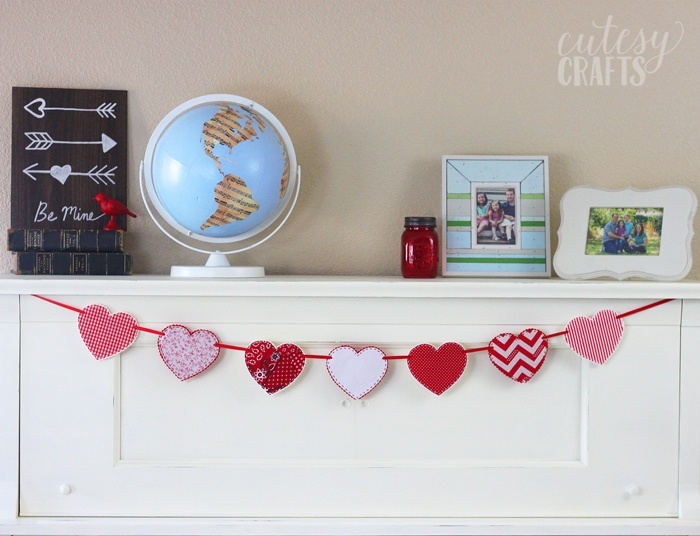 Have you made any Valentine’s Day decorations that you’re proud of? 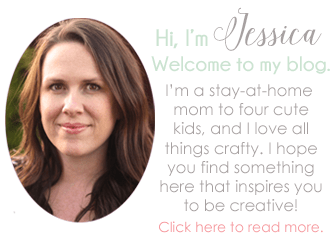 Clearly I need to make more because my “mantle” is lacking.